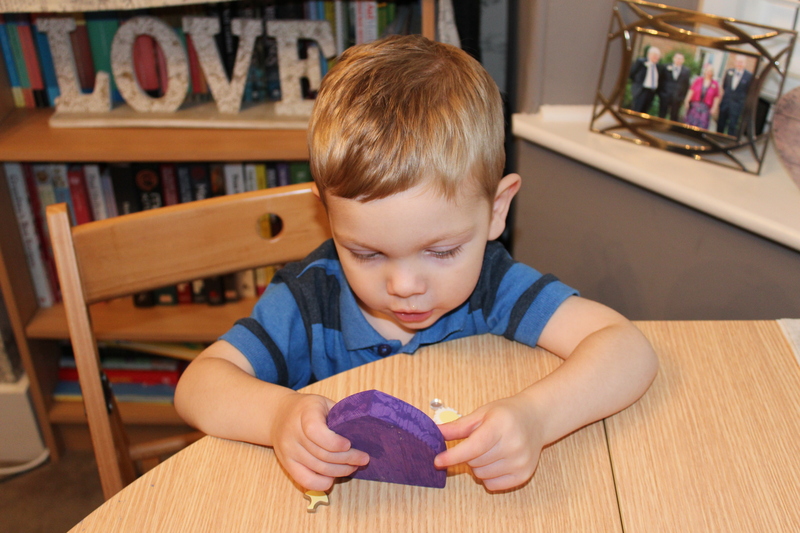 I was very excited and grateful having been selected by ‘The Irish Fairy Door Company’ to review one of their new products; The ‘Paint your own door!’ When it comes to birthdays and Christmas, I have always been a fan of the random presents that would never have been guessed, but end up being the most entertaining! 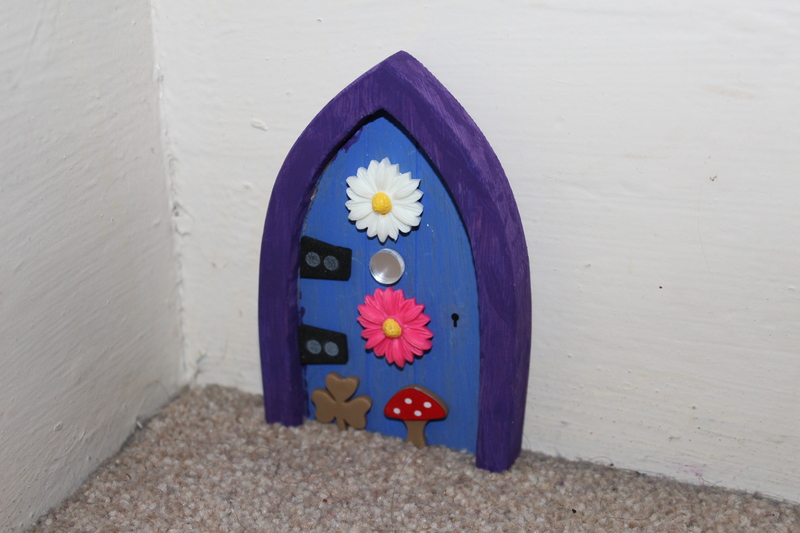 The ‘Paint Your Own Fairy Door’ definitely falls into this category. A soon as it arrived in the post, Oliver ( My 2 year old son) was there wanting to see what it was. He was instantly drawn to the bright colours of the box as I took it out of the delivery box. We told him that ‘We will paint the door, put it in his room and the fairy’s can come out and play!’ He loved the idea of this and couldn’t wait to get started! 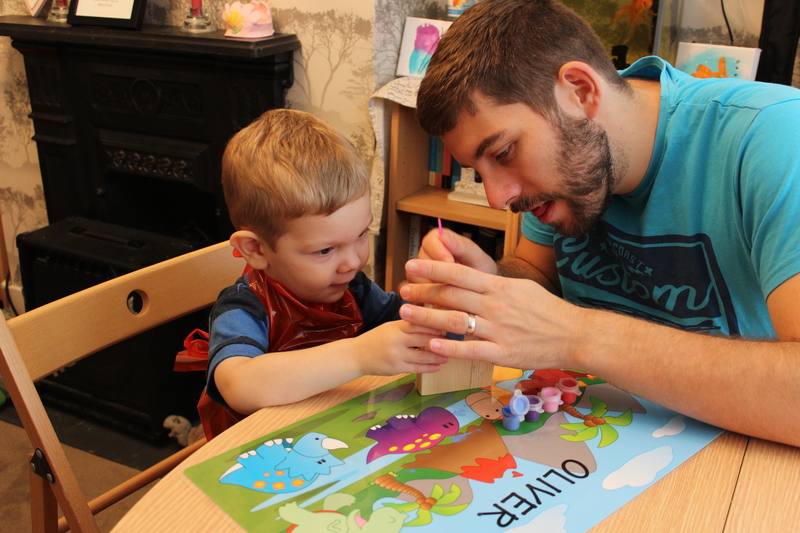 Oliver was so excited he wanted to put the stickers on straight away! Other than some tears he was very patient waiting for the paint to dry. This said the paint is fairly quick drying and was touch dry in just under 40 minutes. Obviously I had to help him stick the stickers on as his lack of fine motorskills meant that he was unable to peel the back off the stickers and place them. He did however show me where he wanted to place them and I stuck them down. We then headed up to his bedroom to ‘install’ the door. The fun didn’t end there! The colouring book doubles up as an instruction manual for the next stage. You see, when you buy a door from ‘The Irish Fairy Door Company’ you aren’t just buying a piece of wood, You are buying a portal into fairyland. Fairyland can be seen by registering your door at www.theirishfairydoorcompany.com using the registration code supplied within the box. Here you create a fairy persona, we named ours Freddie! (Oliver had to go to bed and my wife isn’t very imaginative!) You can then download the app to your phone and get to know you fairy through the interactive experience. Oliver is a big fan of colouring so with the activity book we have another days activity.